R&B is short for "Rhythm and Blues". 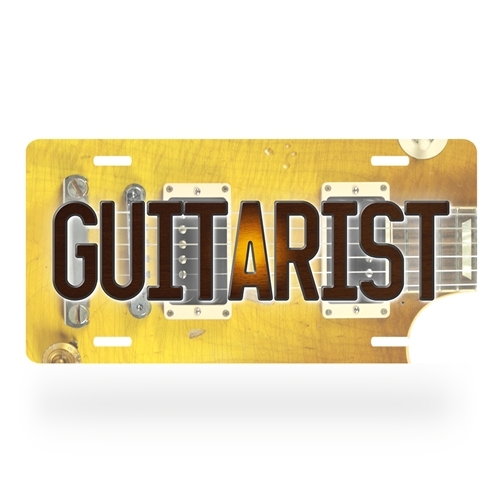 The Guitarist License plate measures exactly 5.875" x 11.875" (301.6x149.2mm). Plates are .30 inch thick durable non-rust aluminum and Made in America. They come premade with 1 inch (25.4mm) screw slots to attach to a car. Printed using a full-color commercial process that produces a quality plate that will last years in any setting. 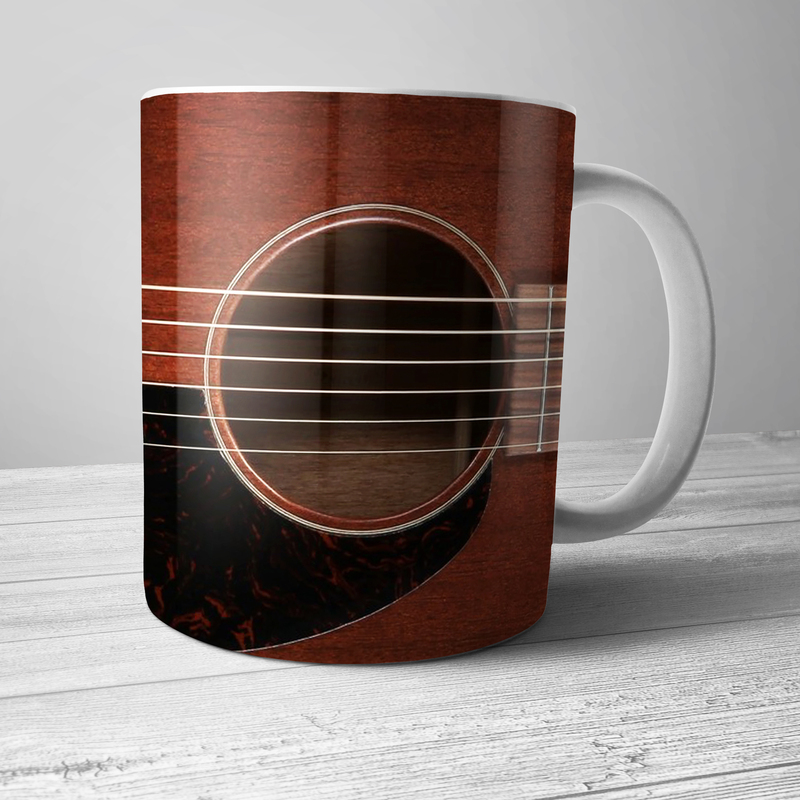 This Guitarist license plate wall decor features a high-resolution image of an electric guitar, pickups, and fun "cutaway" in the corner. The decorative license plate is not actually cut away, so that it can still be screwed down.